Why would a city allow such a glaring waste of space when very square inch of real estate is precious? One school of Feng Shui concentrates on placing a building in an environment in relation to the mountains, sea and sky. Another school examines the influence of shape within the built and natural environment. 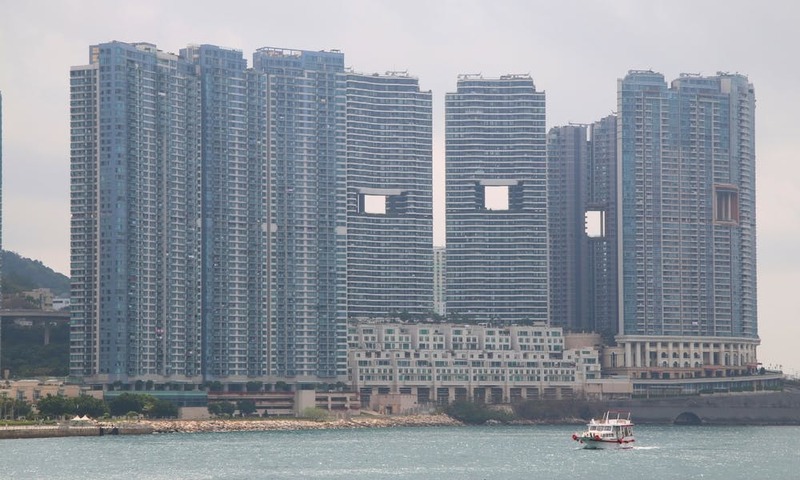 Hong Kong has naturally good Feng Shui. It faces the water and is protected by mountains behind and across from it. Legend holds that dragons live in the mountains and hold positive and powerful energy. This energy blows through Hong Kong daily as the dragons make their way from the mountains to the sea to drink and bathe. 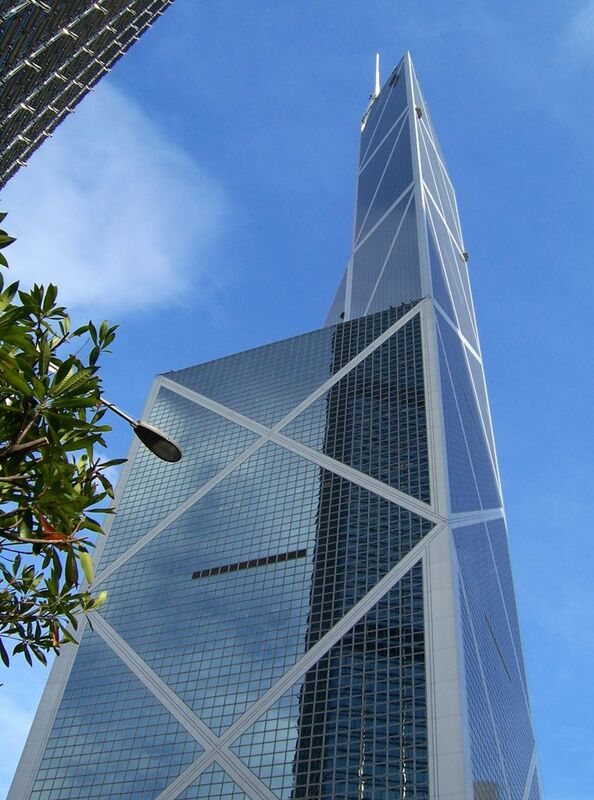 Bank of China architect, I. M. Pei chose to ignore these principles at his peril. Criticized for its harsh, knife-edged angles and screw shaped top, it supposedly “cut” into the good fortune of nearby neighbors. 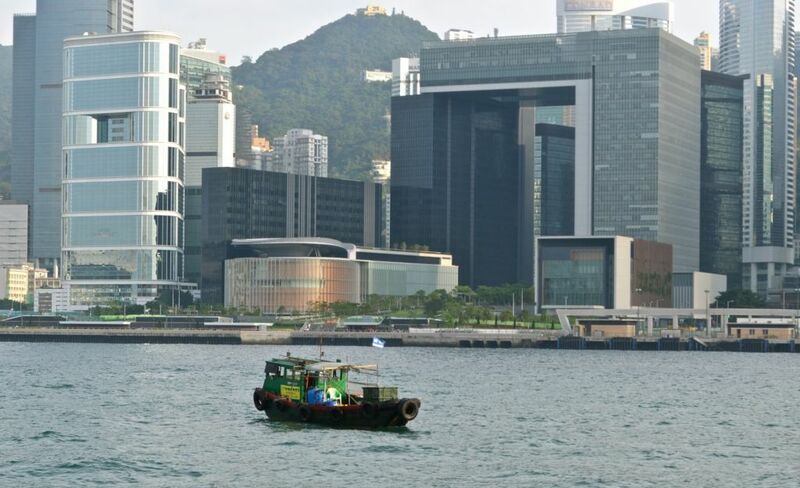 Coincidentally (or not), the nearby Lippo Center tenant went bankrupt and the first governor of Hong Kong refused to live or work in nearby Government House citing the bad Feng Shui. Disney consulted Feng Shui experts when designing Hong Kong Disney. The consultation resulted in shifting the main entrance angle by 12 degrees to ensure maximum prosperity. Disney also modified the main pathway from the train station to the gate to prevent the “chi” or positive energy from slipping out of the gate and into the sea.